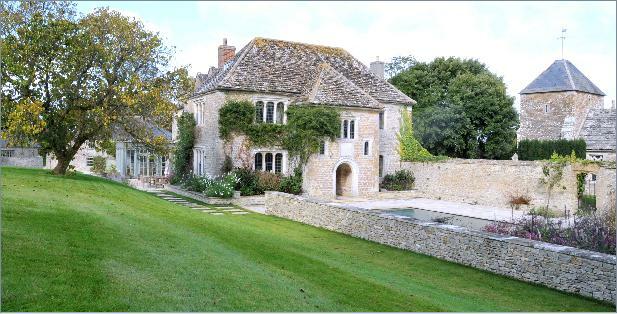 Puncknowle Manor Estate is made up of almost 3,000 acres spread throughout the Bride Valley in South-West Dorset. The estate is comprised of a beef unit and a large arable unit growing a mix of grass, maize silage, wheat, barley, rapeseed, and beans. The estate also has four 4-star holiday home rentals, and a renowned commercial shoot. The beef cattle are raised free range and finished on grass through out the estate. They form a closed herd, with replacements being bred on the estate. Most of the young stock are kept at Berwick Farm. As the calves are kept at Berwick Farm, if you are staying at Berwick Manor, arrangements can be made for you and your children to feed the calves. The Estate is owned and managed by Jim and Sarah Wild, who live in Puncknowle Manor with their three children.